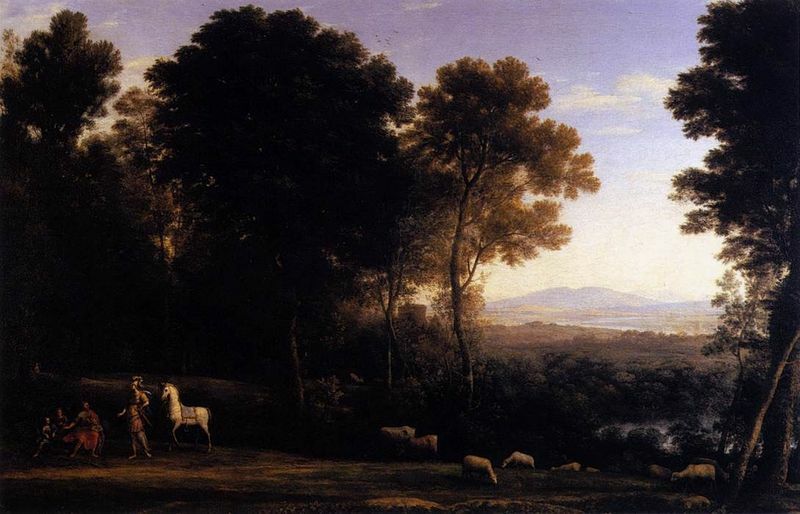 Claude Lorrain (known to his friends and admirers as Claude) is an exception among Baroque artists. Other painters like Caravaggio, Borromini, and Rembrandt led dramatic, tragic, operatic lives which were as fascinating as their magnificent paintings. Claude's biography, on the other hand, is the simple, cheerful story of a small-town boy who came to Rome, made it big, and lived a long and happy life. This friendly and amiable man may have led a life of bourgeois comfort, but that didn't stop Claude Lorrain from painting some of the most exquisite landscape paintings in the entire history of art. 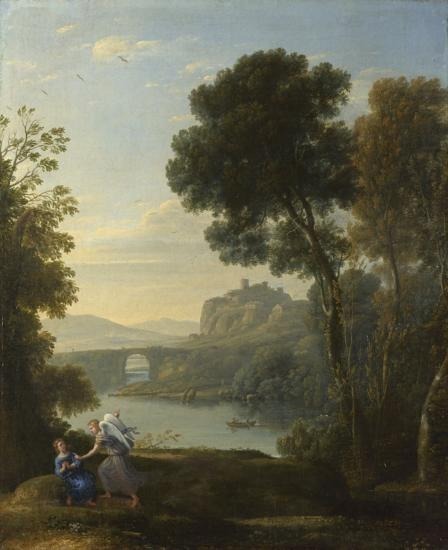 Claude Lorrain spent the first twelve years of his life in the tiny rural town of Chamagne, situated in a region in the northwest of France known as la Lorraine. During Claude's lifetime, la Lorraine was not a part of France at all, but an independent region. During the 17th century, however, the French kings began to eye this region greedily, and the century was rife with turmoil. After the region sided with the Holy Roman Empire against France during the Thirty Years War, France invaded la Lorraine in 1641, sparking over a century's worth of struggle until the region was finally declared French territory in 1766. Claude left the area before the worst of the hostilities, but he was likely affected by these political tensions as a young boy. 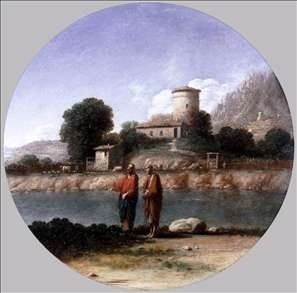 Claude Lorrain was actually born under the name Claude Gellée (he came to be called by the name of the region of his birth after moving to Rome). The exact date of Claude's birth is disputed, but he was most likely born around 1604 or 1605. Claude was born into a poor peasant family; his father, Jean Gellée, and his mother, Anne (or Idatte) owned a small piece of land in the area. Claude grew up as one of five children in very humble circumstances and never received a formal education (for the rest of his life, even basic tasks like writing and counting posed difficult for Claude). They boy's parents apparently passed away when Claude was only twelve years old, and some sources suggest the future artist went to live with his brother Jean, a woodcarver, in the town of Freiburg, located on the Rhine. These early years in Claude's life are murky. His first biographer, Joachim von Sandrart, says that the boy was trained as a pastry cook in France, and may have arrived in Rome as early as 1617, when he was only about 13 years old, and began to work in that capacity. 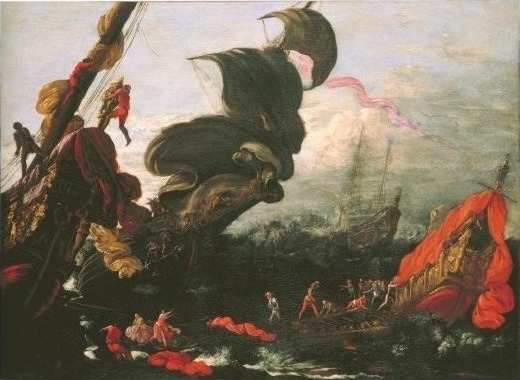 Claude didn't stay in Rome for long; some time after 1618, the young man moved on to Naples, where he studied under the German landscape painter Goffredo Wals (a native of Cologne). After two years of studying under Wals, Claude moved back to Rome, where he got a job as a servant in the workshop of the successful landscape artist and interior decorator, Agostino Tassi. Claude quickly moved his way up the ranks, going on to become Tassi's pupil and later, assistant. Claude apparently tired of life in Rome and moved back to la Lorraine in 1625. 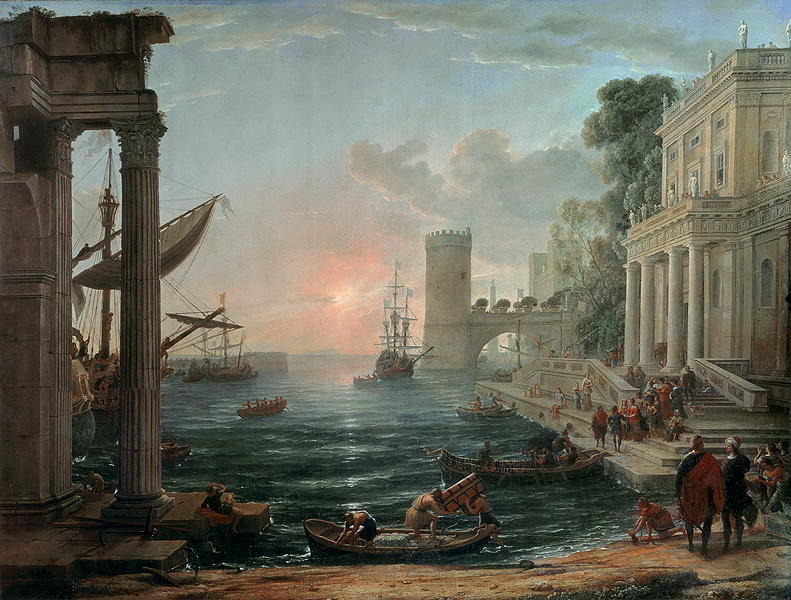 Claude Deruet, the court painter to the duke, hired Claude Lorrain on October 1, 1625, for a period of one year. The young artist helped Deruet paint some frescoes for a Carmelite church in Nancy, but seems not to have been very satisfied with this position, because as soon as his contract was up he went straight back to Rome. By this point, Claude was around 21 or 22 years old, and more than eager to get his career off the ground. In the late 1620s, he began the first of the landscape paintings that would bring him such fame and success in the future. The climate was ripe for landscape painting; the genre was booming in Rome, thanks largely to the presence of artists from northern Europe, who excelled at landscape painting and genre scenes. Claude was significantly influenced by these artists, especially Flemish Baroque painter Paul Bril, who had been the leading painter of landscapes in Italy for a stunning 40 years; these were the shoes that Claude wished to fill. He spent these early years wandering the Italian countryside (known as the Roman Campagna) and sketching for hours on end, sometimes even mixing the colors on his palette out in the fields so as to capture exactly the right color and then running home to his studio to get the image down on canvas as fast as possible. Claude's big break came in the 1630s. The French artist's die-hard professionalism and eager ambition quickly won him a circle of loyal patrons. Best of all, the Europe-wide demand for landscape paintings had never been higher. Claude joined the prestigious Academy of St. Luke in 1633 (a must for any artist wanting to pursue a top-level career in Rome). 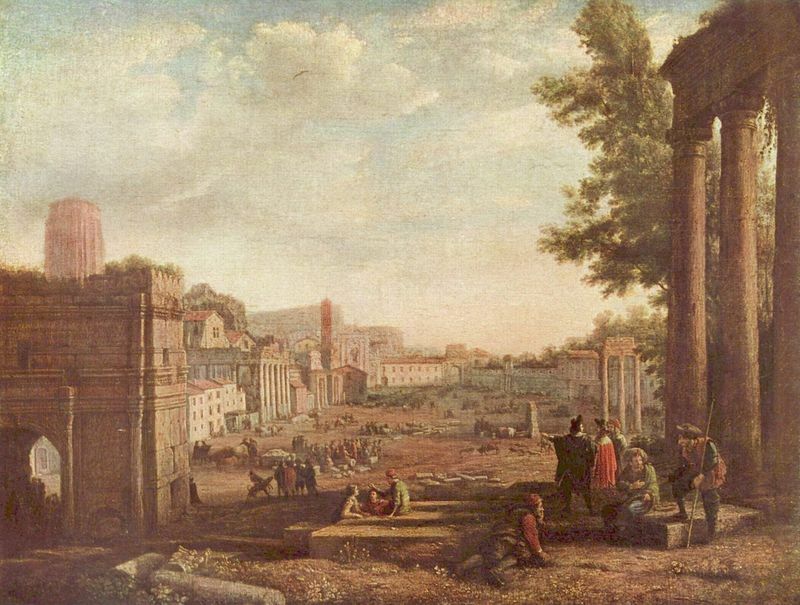 Claude's initial patron base was mainly middle-class, and his paintings were especially popular among tourists visiting Rome who wanted a souvenir of their trip. 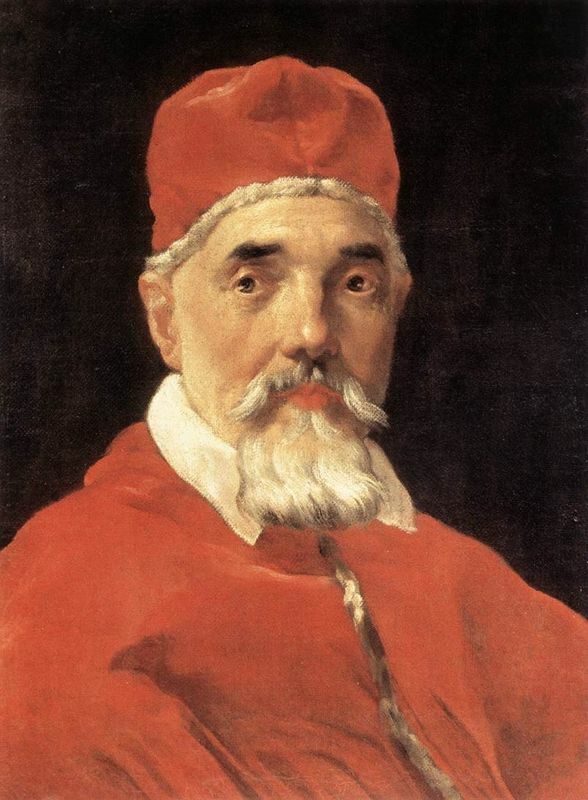 During this period, however, the big fish began to bite; up-and-coming artists began to receive commissions from such illustrious figures as the French ambassador, Giulio Rospigliosi (the future Pope Clement IX), and Pope Urban VIII. The King of Spain Philip IV was one of Claude's most impressive patrons; he commissioned seven to ten paintings for the Buen Retiro palace in Madrid (which was famously decorated by Spanish Baroque painters Velázquez and Zurbarán). By 1633, Claude was so busy that he decided to take on an assistant, the thirteen year-old Gian Domenico Desiderri, and also took on one pupil, Angeluccio, a painter who would go on to be quite successful in his own right. Claude's new found success brought the artist everything he had ever wanted: recognition, social standing, financial rewards, and a constant flood of new artist friends in his studio. It also brought something that no artist wants, however: forgeries. Other artists began imitating or outright copying Claude's paintings and selling them under his name. Understandably upset, Claude decided to start making drawings of each painting that left his studio, with a record of the patron, the city the painting was destined for, and sometimes the date written on the back of the drawing. Claude collected these drawings in a bound book called the Liber veritatis, or Book of Truth. The painter kept the book from around 1635 until the day he died, and it became not only an important catalogue of his work, but a valuable art object in its own right. In the late 1620s and 1630s, Claude's painting output was enormous, but he began to lose steam in the 1640s. By the 1650s, the artist reduced his pool of patrons to only the most elite, and began painting much larger, more intricately planned compositions. Claude's biographers also note that the artist seemed to grow increasingly solitary during the 1640s and 50s. The painter lived in the foreign artist's quarter of Rome when he first arrived in the city, and initially was quite the socialite, enjoying the company of fellow artists and patrons alike. In the 1640s, however, Claude rarely received visitors or went to visit others, with the exception of fellow French Baroque master Nicolas Poussin. When Claude first arrived in Rome, the two artists sketched together in the countryside, and apparently continued to enjoy the occasional glass of wine together as they grew older. 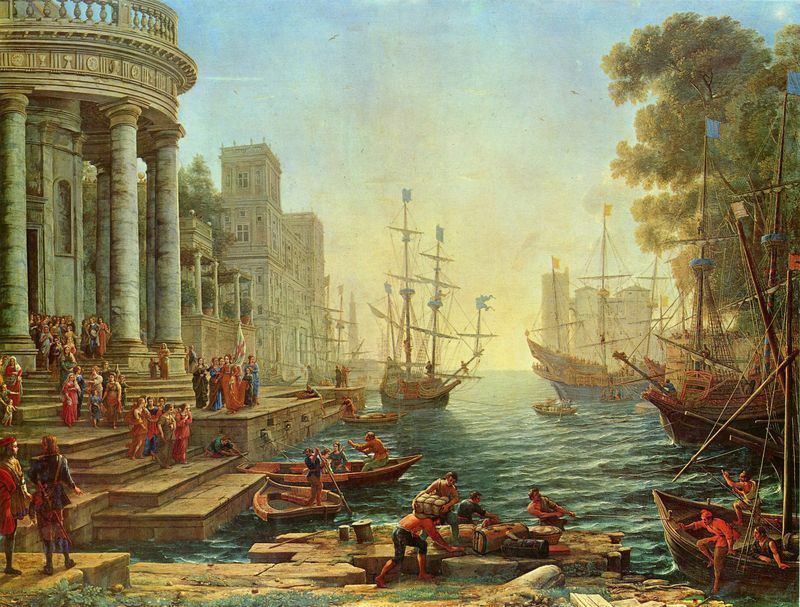 Claude Lorrain suffered from arthritis as he aged and was no longer able to live alone. Claude never married and kept a very small household, employing virtually no workshop assistants (landscape painters rarely did), but around 1658 he did adopt a daughter named Agnès , who cared for the artist in his last years (some suggest that Agnès may have been Claude's own illegitimate daughter). The painter seems to have needed a little extra help during these years (perhaps due to his illness); in 1662, Claude's nephew Jean Gellée moved into the older painter's house, followed by Claude's nephew Joseph in 1679. In 1663, Claude felt so ill that he assumed his end was near and drafted his will. However, the painter went on to live for twenty more years, continuing to paint all the while (despite the increasing stiffness in his hands due to arthritis). 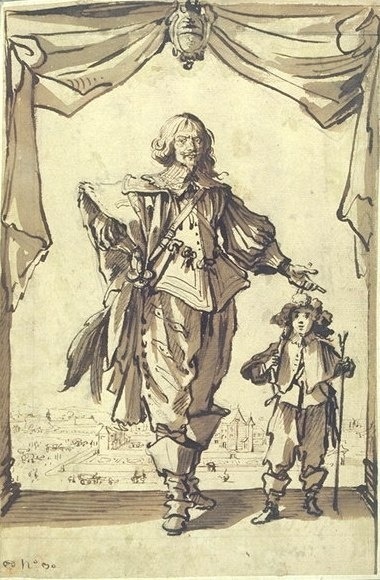 Claude finally passed away on November 23, 1682, leaving all his worldly possessions to his daughter, nephews, and brothers Denis and Melchior (as well as to a few friends and patrons in Rome). Claude was buried in the church of Trinita dei Monti in Rome, but in 1840, his remains were transferred to the Church of Saint-Louis des Français.